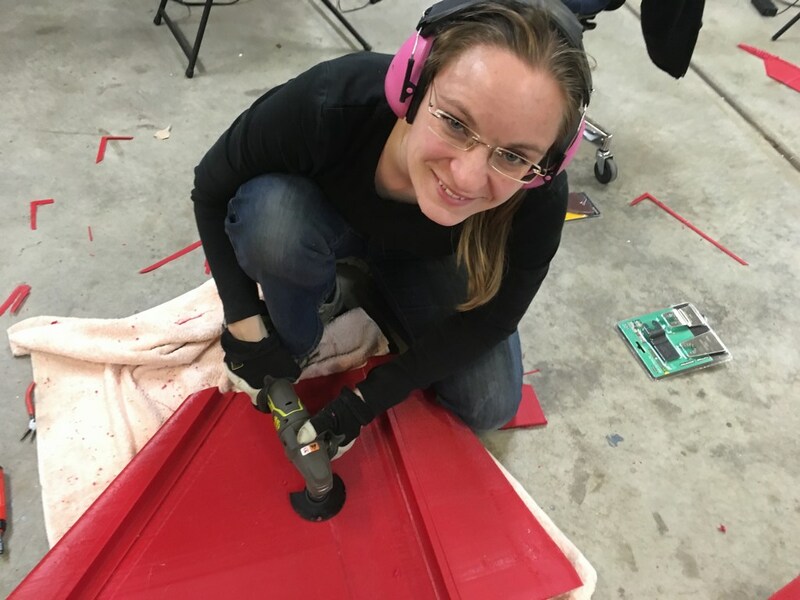 Home Blog 3D printed sidecar cowling! 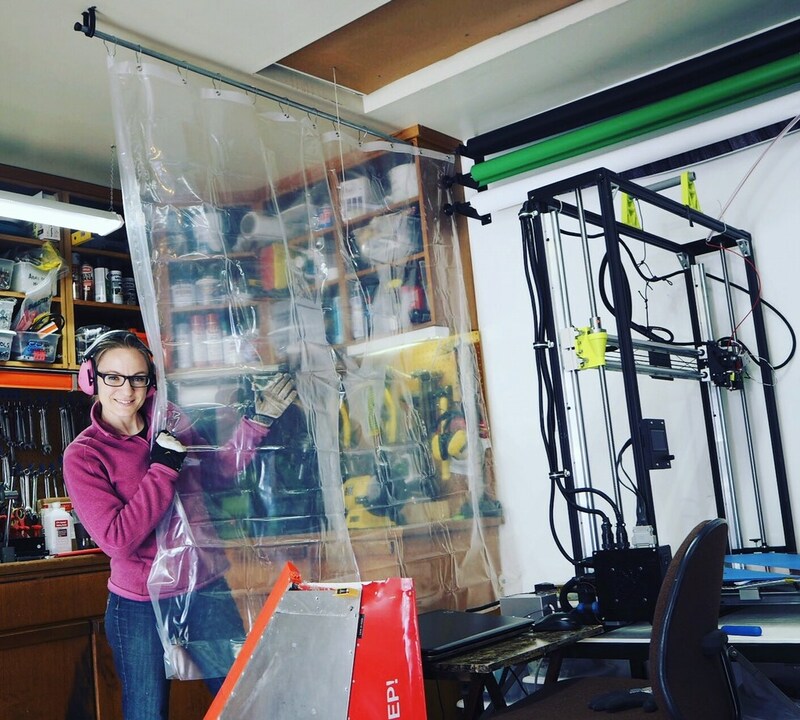 You may have seen glimpses of a giant 3D printer on my Facebook page, and someone asked where we bought it. Well, we didn’t buy it, we built it! 🙂 Bill and I built it this winter specifically to print the cowling for the KillaJoule sidecar. The printer is derived from the Lulzbot 3D printer, it uses the same control board and print head, but the rest of the hardware is our design. The volume of our printer – which we have named “3DD” – is 15 times larger! The LulzBot parts were purchased from Jamie Leben at IT-Works 3D, and we couldn’t have done this without his help and support. 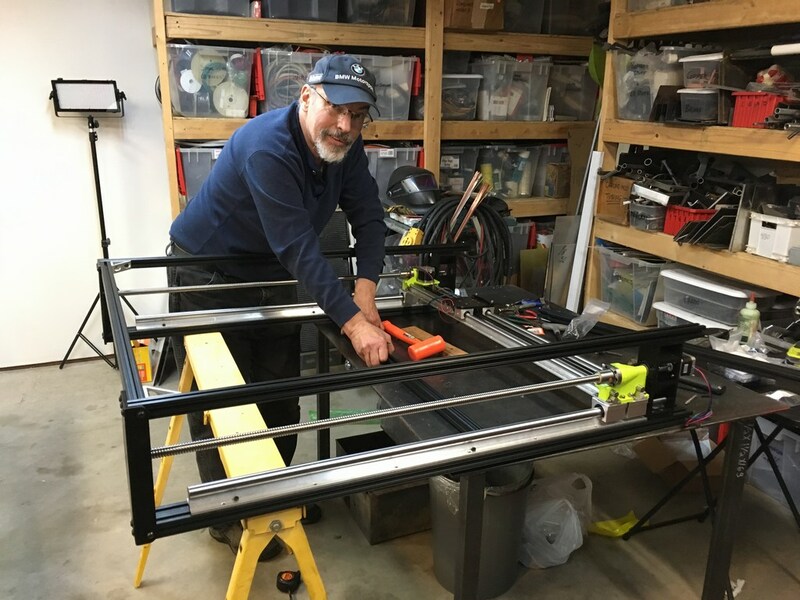 Bill working on the printer frame. The sidecar is one of the secrets to KillaJoule’s insane speed. It is designed to give downforce, which improves the traction and decreases wheel spin. However, downforce also causes aerodynamic drag. Therefore, you don’t want any more downforce than necessary. 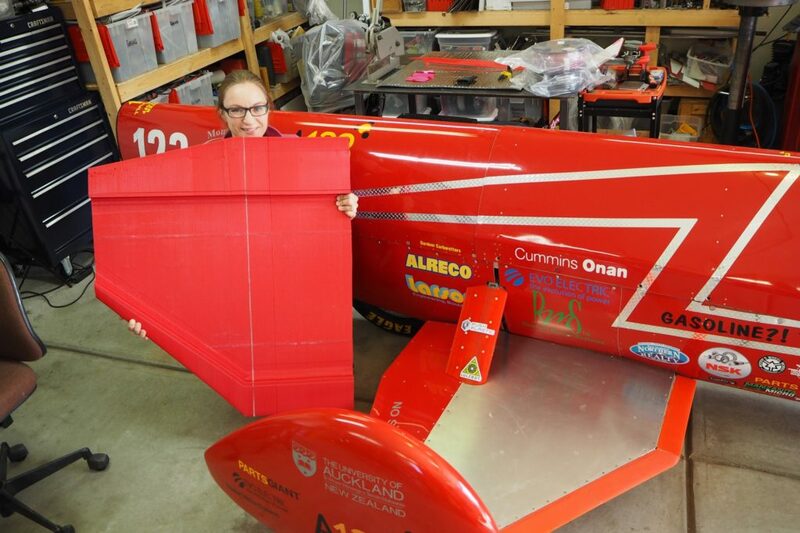 The problem is that you cannot tell in advance what the salt conditions will be, and last year we had too little downforce and a slippery track, so the KillaJoule just wouldn’t go over 250 mph, despite we had plenty of horsepower; the wheel was just slipping. We needed a way to “tune” the sidecar for perfect downforce, but movable surfaces are outlawed in motorcycles. While we probably could get away with an adjustable cowling, it wouldn’t have the optimal shape. 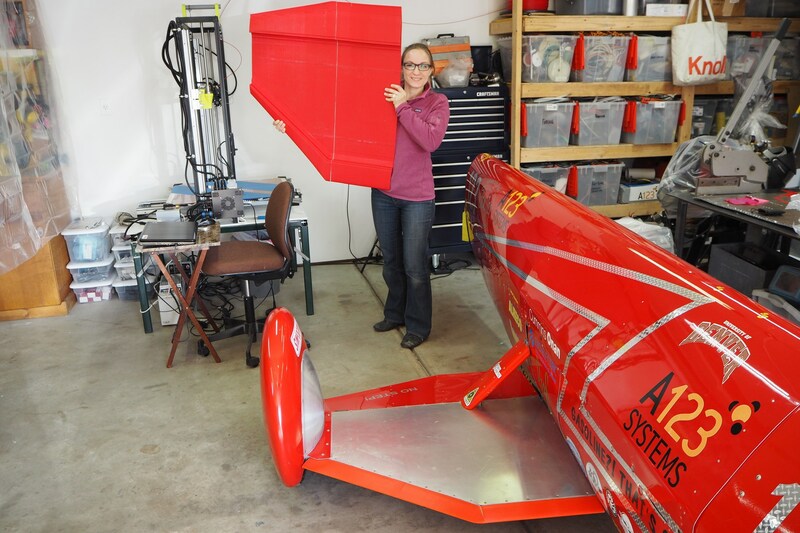 By using 3D printing, we can create several different airfoils and pick the one that suits the track condition at that event (or that day!). The current sidecar, made from aluminum sheet metal, and a test print of the new sidecar skin. The “3DD” 3D printer in the background. The top photo shows a test print of the outer half of the sidecar cowling (the computer screen shows the whole part). The other two photos shows the two halves glued together. 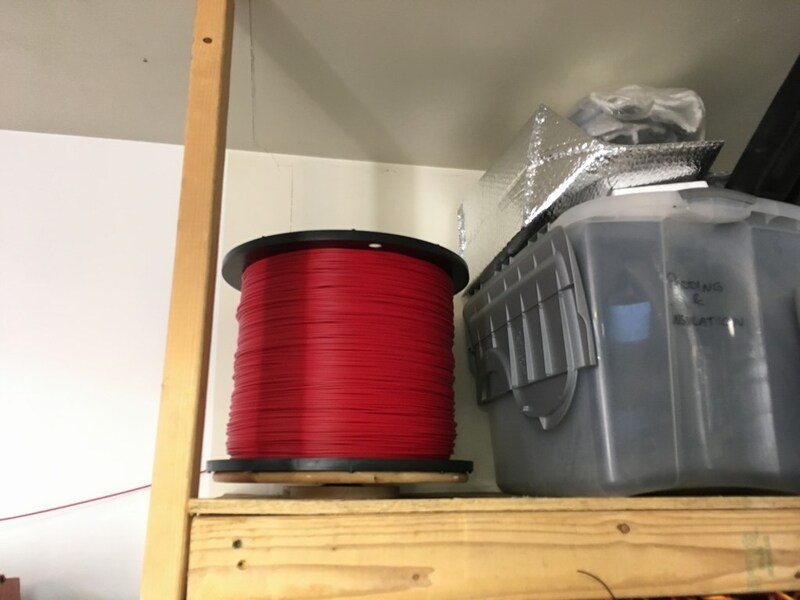 The test parts are printed in bio-based and bio-degradable PLA, while the actual parts will be PETG (thermoplastic polyester, same stuff that water bottles are made of). I would love to make it from PLA, but it could soften in the hot sun at Bonneville and that would be a disaster. However, I am looking into the possibility of using recycled PETG. The sidecar cowling weighs about 9 kg (20 lbs) and it was quite a challenge to find a large enough spool of printer filament (the plastic string that is fed into the printer). The standard size is 1 kg (2.2 lbs), but trying to time 8 filament changes was doomed to fail. Luckily, I found Push Plastic that has spools up to 25 kg (55 lbs) in stock, and up to 50 kg (110 lbs) made to order! (Push Plastic is a supporter of the KillaJoule and gave me a discount on the filament, you can find their selection at www.pushplastic.com). Handling a 25 kg (55 lb) spool took some trial and error. It couldn’t be mounted on the regular spool holder, and after scratching our heads for a few days and a few trials and errors, we found that a “lazy susan” cheese plate from IKEA did the trick! 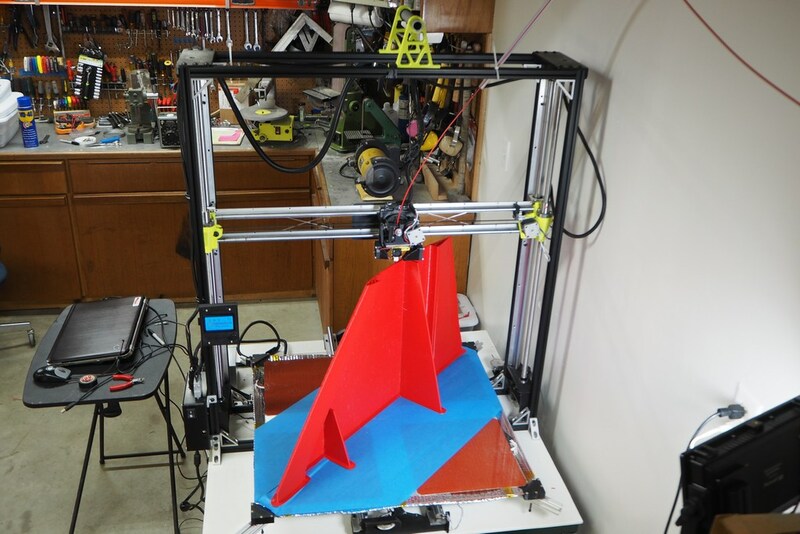 Removing the support structure that keeps the part upright during the printing. The printer is sensitive to dust, and that gave me a reason to install a much overdue dust protection curtain between the printer and the belt sander. A plastic shower curtain and a piece of electric conduit (metal tubing) worked perfectly. 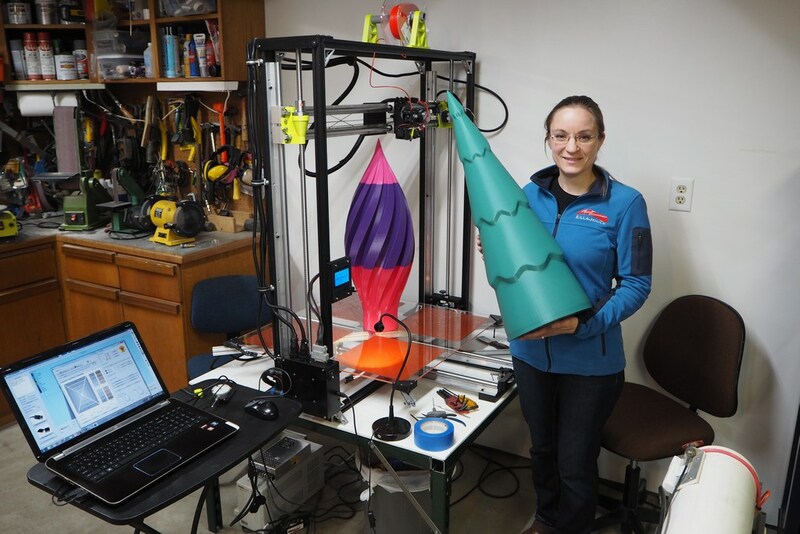 The printer was running just before Xmas 2016, so some giant Xmas ornaments and some plastic trees were obvious choices for first prints.